This year’s celebration of our national poet was a great occasion. A full house of 100 members and friends were welcomed by President David Potter and enjoyed an excellent meal. The haggis was addressed with great relish by Bob Logan. 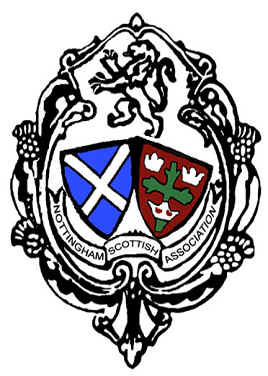 We enjoyed a thoughtful and erudite speech on Burns by John Brebner from the Derby Scottish Association. This was followed by the customary verbal jousting and wit of the ‘Toast to the Lassies’ and the reply, given this year by Roger Neal and Doreen Johnson. To top it off, we finished with a set of enthusiastically performed ceilidh dances, led by Andrew Morrison. Roll on our next big occasion – St Andrews Night in November!